Looking for the best places for ayurvedic treatments in India? Through this article, you will get information about the popular ayurvedic treatment centers in India. India tops among all the countries in the world in the field of Ayurveda which is the most ancient medical practice. Find some of the best places where you can get the best Ayurvedic Treatments in India. 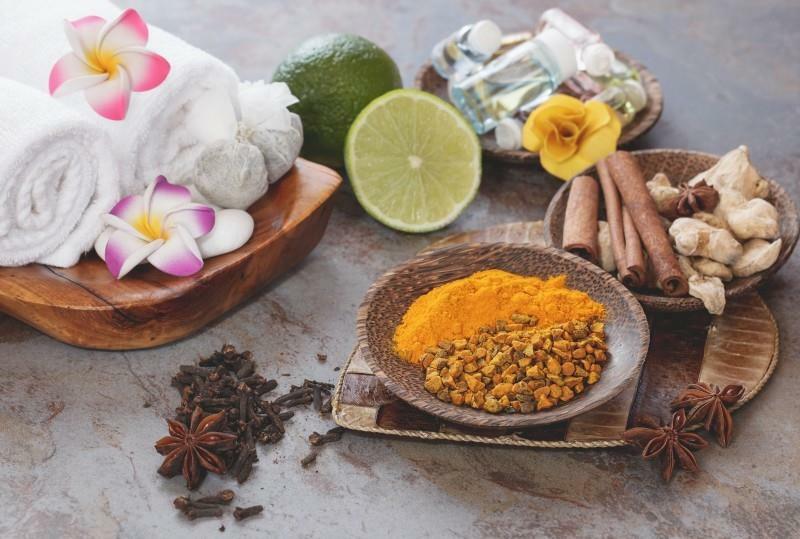 Reputed as one of the most effective natural medicine practice in the world, Ayurveda has a solution for all the maladies. Body Organs, major systems of the human body, chronic diseases, body ailments having roots in the heredity and even the deadly diseases like the Cancer – Ayurveda Treatments have answers for everything. Of late, Ayurveda Beauty Treatments are also gaining popularity and people are opting for the natural means of being beautiful. Here are Some of the Best Places for the Ayurvedic Treatments in India. Armed with this list, you will be able to make the best of your next vacation as you can plan one or two days for relaxation and Ayurveda Treatments as well. Undoubtedly one of the best places for an Ayurvedic makeover of your nerves and senses; Kerala the God's Own Country is the best place forAyurvedic Treatment in India. There are a number of Ayurvedic centers where you can spend a few days for relaxation and rejuvenation of your nerves and spend some quality time on the lovely beaches as well. Of all the Ayurvedic Centres, the Hindusthan Ayurvedic Health Care in Trivandrum is the best where you can get a lot of Ayurveda Treatments such as Massages with oils, herbs, and powders, cleansing processes, therapies for cervical problems, spinal cord, digestive system, skin, infertility and lot of other maladies. Apart from the medical conditions, you can get the Ayurveda Beauty Treatments and rejuvenate your skin. The relaxation techniques calm your mind and give a refresh to your nerves and senses. Well, any account on the Ayurveda Treatments cannot be complete without a mention of Uttarakhand. The State is teeming with Ayurvedic centers offering various treatment programs and relaxation programs; apart from being one of the largest suppliers of the herbs and medicinal plants in the nation. One can relax and recuperate in the lap of Himalayas and enjoy the scenic views of the mountains. The place is oozing with beauty and fresh natural resources which offers a delightful retreat for all the city dwellers. Tourism with an aim of getting Ayurvedic Treatments is one of the major source of tourism in the state. Yes, you read it right. Goa is one of those states where you can find extremes of everything. From heavy indulgence in drugs and drinks; to complete immersion in the meditation and yoga; Ayurveda treatments for various diseases and Ayurveda Beauty Treatments; beaches thronged by millions every year and a culture that has one of the most varied constituents – Goa is a place that offers you everything and anything. There are a lot of Ayurvedic Healthcare Centres where you can reside and get treatments of any kinds. Staying away from the duping ones is really a feat and a little bit of research on the internet as well as locally is always helpful. In the burning sands of Rajasthan, where the air still bears the aura of the age of royals and every single grain of sand has folklore to tell; you can find some of the best centers of Ayurvedic Treatments of all kinds. The place is frequented by millions of tourists every year and the presence of lakes, decent rains, and royal legacy; all have contributed to the growth of Ayurvedic health care. One can find masseuses in every nook and corner, and planning a relaxing and rejuvenating trip is never futile. Pune is also one of the best places forAyurvedic Treatment in India as well as for the Ayurvedic Beauty Treatments. The place houses a number of hospitals, centers, spas, and salons for the above-mentioned purpose and every year a lot of people visit the place for ridding their ailments. Apart from the above-mentioned places, you can also visit Delhi, Tamil Nadu, and Kurukshetra etc for giving your body the nest natural cure with Ayurveda treatments. The author has mentioned a detailed information about the best places for ayurvedic treatment and really these places are excellent for Ayurvedic treatment. I want to add another place for this ayurvedic treatment. In the state of Andhra Pradesh, there is a district called East Godavari District. This district is a place for many famous ayurvedic Physicians and ayurvedic medicines manufacturers. There is a place called Chintaluru near Rajahmundry. In this village, there are two Ayurvedic Hospitals. Among the two one is very old and existing for almost 85 years. They treat all types of serious diseases also and a lot of people got benefitted. The company makes a business running into crores of rupees. They sell the medicines online also. They export these medicines to other countries also. The second one is a recent one with a little less turnover but emerging as a major competitor for the old one. In both, the Organisations the physicians are very good and expert doctors. Similarly, in the same district in other places like Pirhapuram, Uppada and Kakinada, there are some Ayurvedic Organisation who are treating major diseases and doing a lot of service to the public.